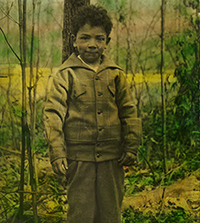 Philip Goldstein was born in Baltimore, Maryland in 1920 and raised in Norristown, Pennsylvania. He served four years in the military, three of which as a member of the U.S. Army Air Corps, where he became a non-commissioned officer and P-38 Lightning pilot. Goldstein was assigned to the European theater of operations, where he flew 50 missions against the Luftwaffe. Goldstein shot down his first Nazi adversary on his very first mission, after which his crew chief painted “JEWBOY” on his plane “so the Luftwaffe pilots would know who was blowing them out of the sky.” Goldstein would go on to rack up many more kills in an extraordinary career. For his heroic feats of aerial combat, including a daring rescue of a fellow flier hundreds of miles behind enemy lines, “Goldie,” as he came to be known, was awarded a Distinguished Flying Cross, Air Medal with Clusters, and Presidential Citation. Of the forty-four P-38 Lightning pilots who shipped out across the Atlantic Ocean on the Liberty Ship in 1942, only 2nd Lt. Philip Goldstein would survive to tell their tale. 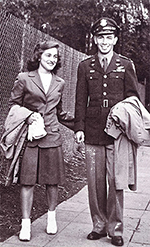 Philip met his future bride, Jane Florian Roeder, at an officer’s dance in September 1944 and married her two years later in San Francisco. After the war, Goldstein became an Allstate Insurance Agent. He retired in 2000 at age 80 and took up golf, which he continues to play three times a week just a few months shy of his 95th birthday. 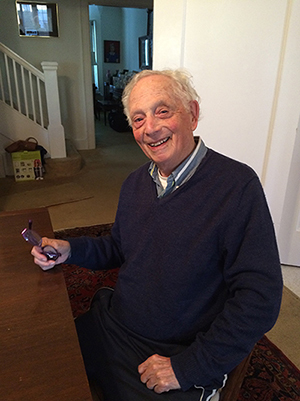 When not golfing, Goldstein enjoys spending time with his three children and three grandchildren. Favorite food: All kinds of seafood, especially lobster. Ice cream is probably his all-time favorite. Favorite pet: Skippy, the dog he had as a child. Favorite place in the world: San Francisco, California.